Personalized, Conservative Orthodontics for Your Best Smile! Our smiles are how we connect with the world: they are the first thing we notice when meeting someone new, they affect our self-esteem, and when we know our teeth are healthy and straight, our confidence blossoms. If you’re ready for a smile that allows your personality to shine, Dr. Brian Loftus and his team are ready to help! What’s Different About Easton Orthodontics? Dr. Loftus and his team will care for you as we would a member of our family: with compassion, empathy, and respect. You are important to us and we want you to know we appreciate the trust you place in us to craft your smile. We maintain a high level of professionalism but do so in a fun and energetic way. Ours is a welcoming, laughter-filled office where you’ll always feel at home! We take the time needed to understand your desires and concerns and make sure you’re comfortable with your treatment plan. You will always be heard, engaged, and informed. 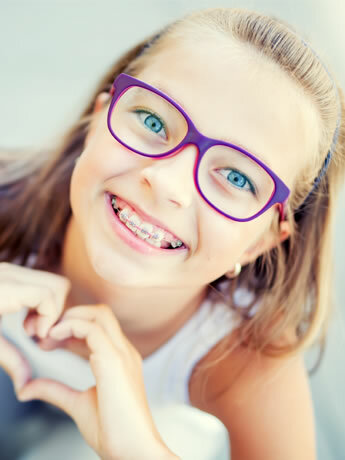 While orthodontic treatment is important for self-confidence, it also promotes good oral health and decreases the likelihood of abnormal tooth wear in the future. Our goal is for you to finish with a beautiful, stable, and functional smile – one you’ll enjoy, for life! We’ve built a stellar reputation as an honest, ethical practice. We offer conservative and efficient treatment plans and are respectful of your time, money, and personal situation. We make treatment work for you. Improving your life with orthodontics should be a worry-free experience. We’ll do our best to keep you comfortable and excited during treatment, offer evening appointments two nights a week, and 24/7 emergency care is just a call away. We offer complimentary consultations which include photographs, appropriate X-rays, a 3D intraoral scan if needed, and an exam. Based on what he finds during this process, and after learning about your goals and concerns, Dr. Loftus will create your personal treatment plan. We’ll walk you through everything, including treatment options, financials and insurance, and the timeline. We’ll also answer all of your questions. Then we encourage you to go home and think everything over before making a decision: this is your smile and you’re in charge! Please call Easton Orthodontics Associates, serving Easton, Nazareth, and Bethlehem, PA, to schedule your consultation. No high-pressure sales pitch and no services you don’t need: simply a clear path to your new smile!